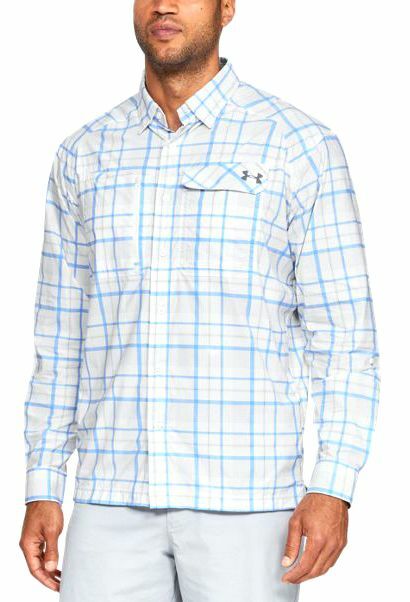 The Under Armour 1290746 Fish Hunter Long Sleeve Plaid Shirt is made with nylon/elastane and offers a loose, fuller cut for complete comfort. 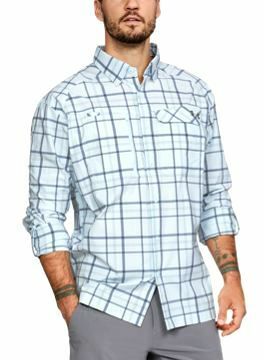 This shirt features UPF 50+ protection, stain release material and anti-odor technology. Well made, fits great and is true to size, fast shipping and a great deal. 5 stars for sure. ProsWell made and very comfortable. Great TD price on this shirt. In Columbia PFG shirts I normally wear a L, but with Under Armour I wear an XL. IÃ¢€™m 6Ã¢€™1Ã¢€ and 186#. 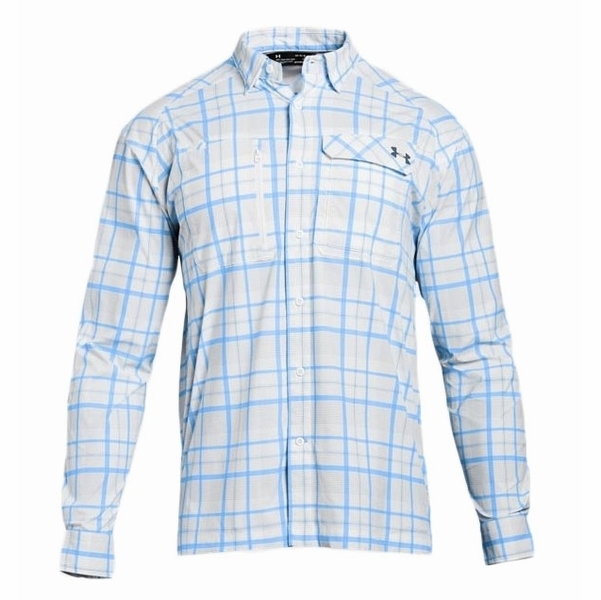 It is the Under Armour product so I don't expect it to be bad or just ok. 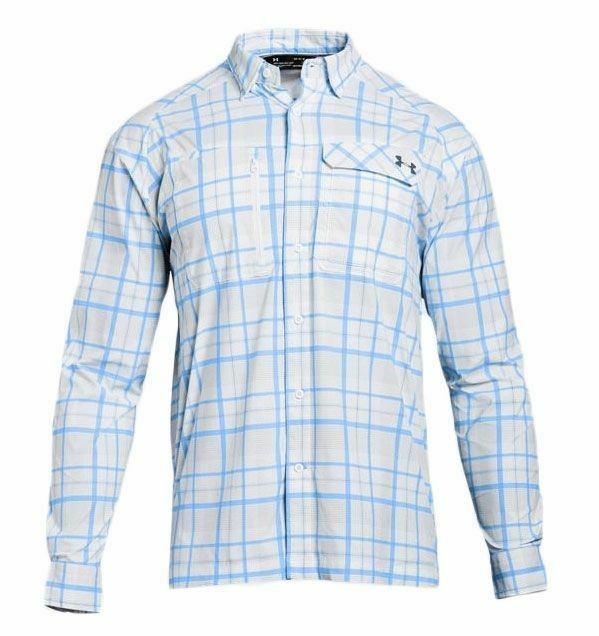 Comparing with Columbia PFG, this one is actually comfortable fits perfectly (I think it is smaller than Columbia PFG shirt if you compare the size M). I would recommend to buy this shirt specially it is $39.99. 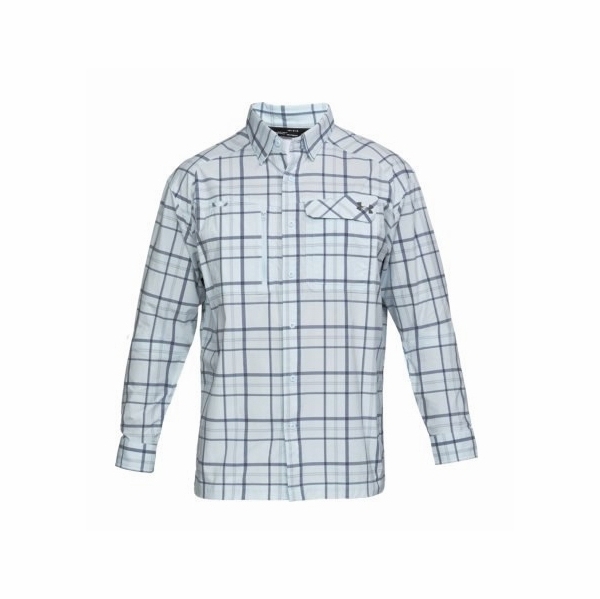 The details from the well placed pockets, the cut and the material set this shirt apart. I purchased two of them and the compliments I recieve when wearing them tell me what I already know....awesome shirt!! and the fir was even better. 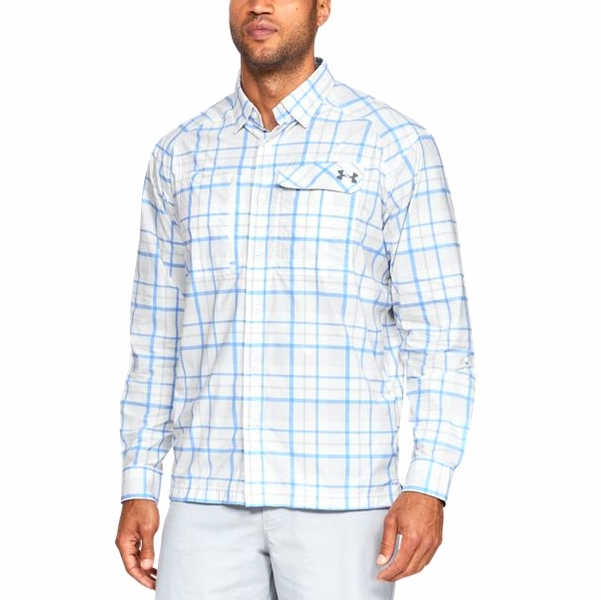 The wife says my new dress shirts are fishing shirts. I beg to differ. So far seems like nice construction. 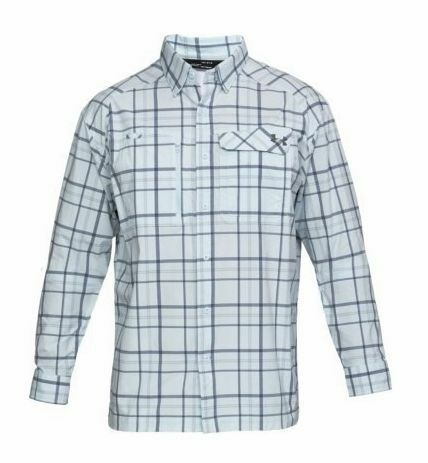 Very nice just as a lightweight button down fishing shirt should be. It's really comfortable for wear it whole day for boat fishing. Information about pockets: How many? Button or hook and loop? 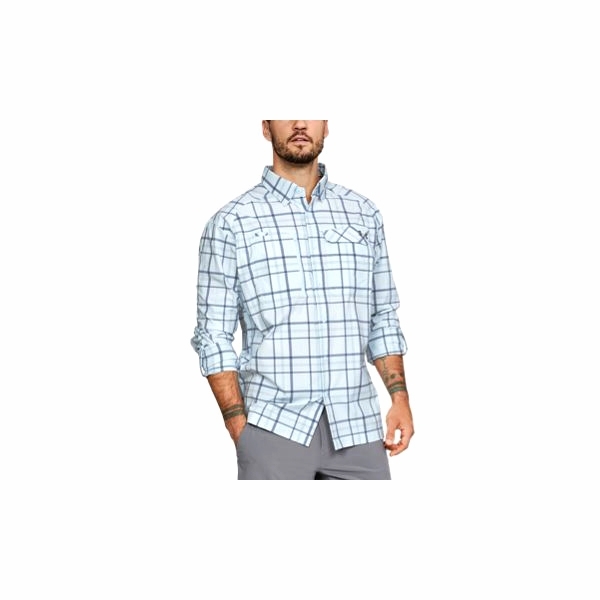 Do you have the size chart for this shirt?